Blind people or those that are visually impaired can have serious difficulties to adapt to new technologies. 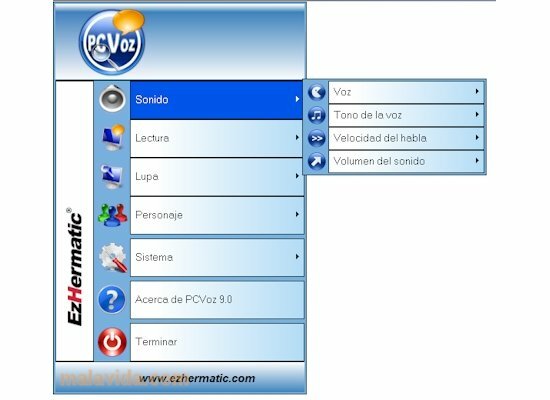 PCVoz is a software application that intends to minimize the inconveniences that these people come across when they try to adapt to the world of computing. PCVoz is an invaluable help for all those people that suffer from some kind of visual impairment, because it offers them the tools to handle personal computers easily, both to work with applications as well as to connect to the Internet. Thus, this application has a “Screen Reader” that relates everything that happens and the actions performed on the computer and a “Digital Magnifying Glass” that allows us to increase the active screen area up to 10 times. To sum up, PCVoz optimizes the usability of the computer's applications for people with visual impairment.